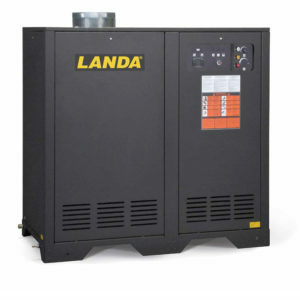 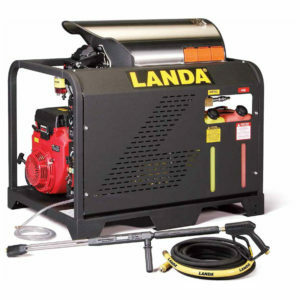 Landa Karcher Group’s VNG is the industry standard for natural gas heated hot water pressure washers. 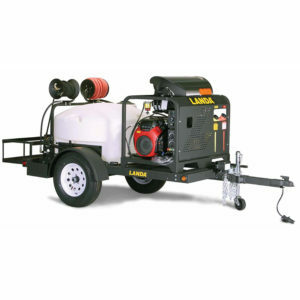 Housed in an attractive, but sturdy, metal cabinet with quick access control panel and industrial-duty components throughout, the VNG is flexible enough to support up to four optional remote wash stations. 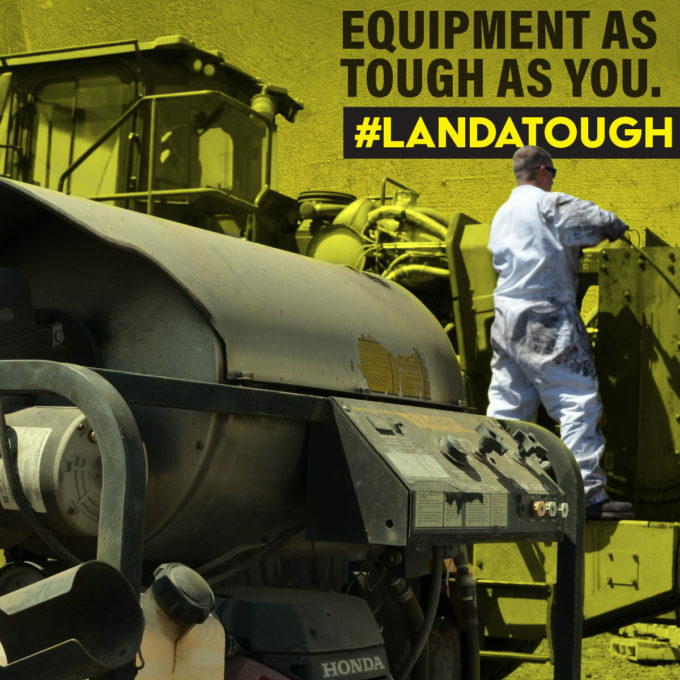 The VNG is loaded with quality and safety features. 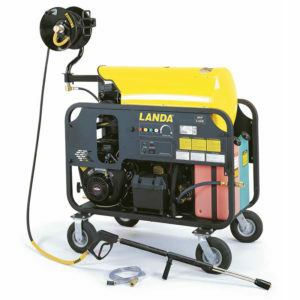 Standard VNG features, not often found on other brands, include time delay shutdown, electronic ignition, steam combination, stainless steel variable pressure wand, and pressure gauge. 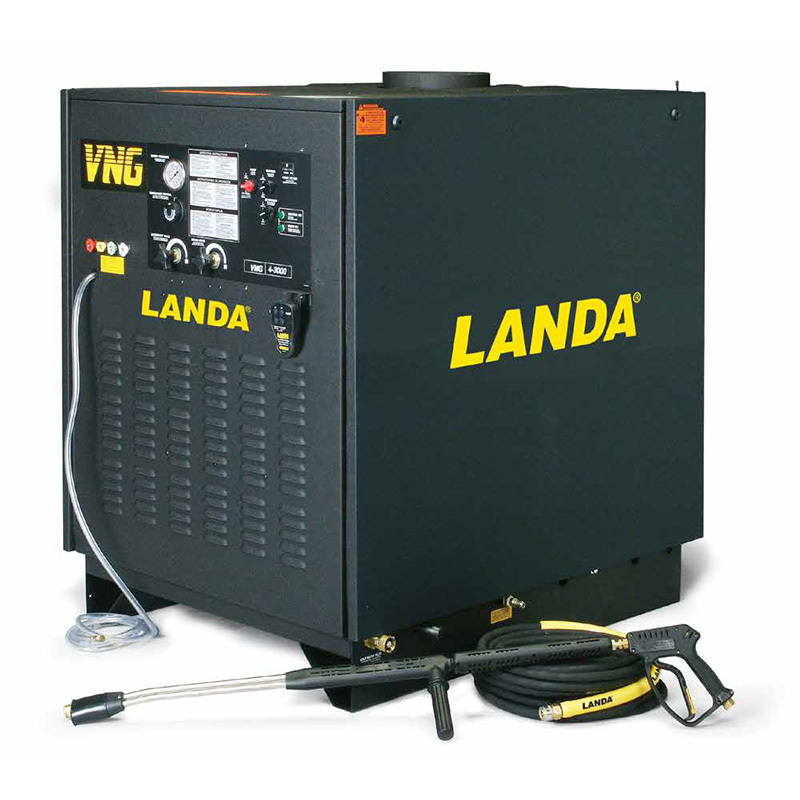 The VNG’s super-efficient burner has an energy-efficient, vertical, Schedule 80 heating coil.